The lines of aging blue, red and yellow trucks begin almost 6 miles (10 kilometers) from the gates of Nigeria’s main port of Apapa. The congestion outside and inefficiency within Nigeria’s ports is choking the economy, which vies with South Africa as the continent’s biggest, and causes havoc for businesses that use them to import everything from cars to computers, food and machinery. 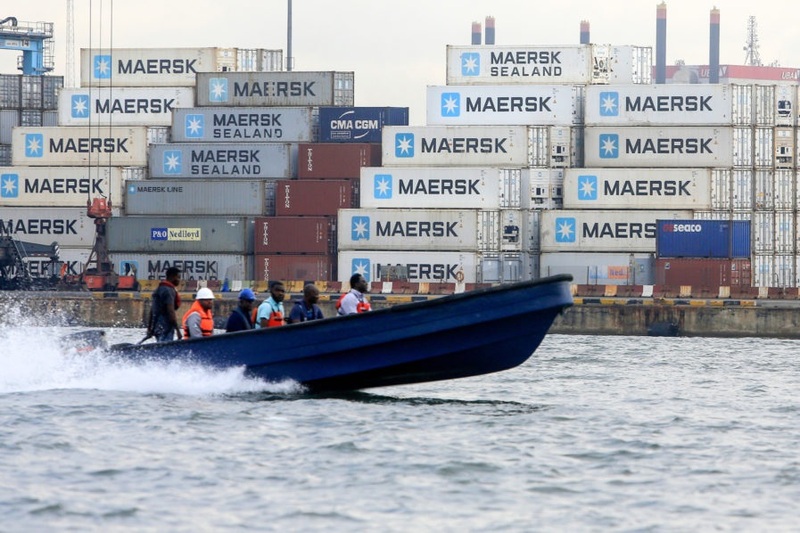 Nigeria loses $19 billion annually, or about 5 percent of gross domestic product, from the delays, traffic jams, illegal charges and insecurity that are increasingly prevalent at its ports, the Lagos Chamber of Commerce & Industry said in a report this year. In the World Bank’s Trading Across Borders survey, which measures the time and expense involved with importing and exporting goods, Nigeria ranks 182nd out of 190 countries, below Syria and Afghanistan. The problems at Apapa and other ports such as Calabar and Port Harcourt have been a headache for successive administrations, which have failed to fix decaying infrastructure, reduce stifling red tape and tackle corruption. Terminal operators, including APM Terminals, a unit of Denmark’s AP Moller-Maersk A/S, rely on generators because power cuts are so frequent. But it’s worsened in recent years, especially at Apapa. Crumbling roads have all but ground trucks to a halt. Once they do manage to enter, drivers and businesses have to contend with a plethora of customs, immigration and security agents before they can pick up containers. It can take 20 days to clear products, compared with 48 hours in neighboring Benin and Ghana, according to the LCCI. 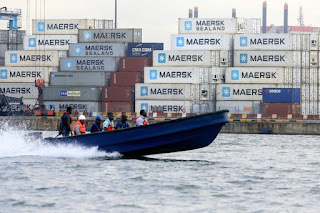 The cost of moving a container from Apapa to other parts of Lagos has soared to as much as 700,000 naira ($1,930) from about 150,000 naira two years ago as trucking firms put up their prices to make up for the delays, according to the Nigerian Shippers’ Council. It’s taken a toll on the companies of Aliko Dangote, Africa’s richest man. Dangote Cement Plc, Nigeria’s biggest listed firm, may cancel plans to build an export terminal at Apapa because of the congestion, Chief Executive Officer Joe Makoju said on a call with investors last month. Dangote Sugar Refinery Plc blamed a fall in third-quarter profit partly on the bottleneck there, which it said was leading to more smuggling of sugar through Nigeria’s land borders. President Muhammadu Buhari, running for reelection in February, said in October the situation was “a major concern” and the government will urgently repair roads and build more railways to the ports. The 75-year-old leader says modernizing infrastructure is vital to diversify the OPEC member from oil and gas and revive an economy still struggling after the 2014 crash in crude prices. Vice President Yemi Osinbajo visited Apapa in May 2017 and directed officials to start working around the clock and all agencies to locate their operations in one place to ease delays. It’s been to little avail. Many people prefer to use more efficient ports in Benin, Ghana and Togo, according to Mike Onulide, who runs a business exporting food including noodles and garri, a cassava-based staple popular in West Africa. That can’t come soon enough for the weary drivers who bear the brunt of the chaos.